Smallholder farmers: Agents of Change in a Risky Climate – One Billion Hungry: Can We Feed the World? It can be difficult to avoid sounding hyperbolic when talking about climate change because the truth is that, if current farming practices and resource-heavy ways of life are not changed, the future does not look bright. Every part of the food supply chain is likely to be affected by climate change. Crop yields will tumble and food quality, safety and delivery may be compromised. Water supplies in many areas will dwindle, while elsewhere flooding may cause water supplies to become contaminated and unsafe, destroy crops and threaten livestock. On top of this, certain pests and diseases may thrive in warmer temperatures. In addition to farmers likely producing less, weather extremes may put extra stress onto already struggling infrastructure, making it increasingly difficult to get any surplus which farmers do produce to markets and consumers. By 2050, hunger and child malnutrition could increase by as much as 20%, and with agriculture as Africa’s biggest employer, the livelihoods of millions are at stake. So far, so risky. Risk can put people off new technologies, preferring to stick with traditional methods which they trust, even if they may not be the most productive or sustainable. While short term solutions may be a good quick-fix, people need to feel secure in the longer term in order to take the risk and invest in their land and future. Farmers can be agents of change, and Agriculture for Impact’s Sustainable Intensification (SI) Database provides a good resource of case studies that illustrate how. Given proper choice, with the right training and incentives, farmers have shown that they can adopt and drive sustainable agricultural development, which can improve resilience and help reduce greenhouse gas (GHG) emissions. Better use of seasonal forecasts, improved soil, water and nutrient management, conservation techniques and the diversification of incomes to other on- and off-farm activities can help smallholders adapt successfully and sustainably. By collecting innovations from the fields of genetics, ecology and socio-economics, SI can help farmers build their agro-ecosystem into one which is productive, resilient, sustainable and equitable. Food production cannot be increased sustainably with ever dwindling natural resources, so building them up and protecting them needs to be a priority. 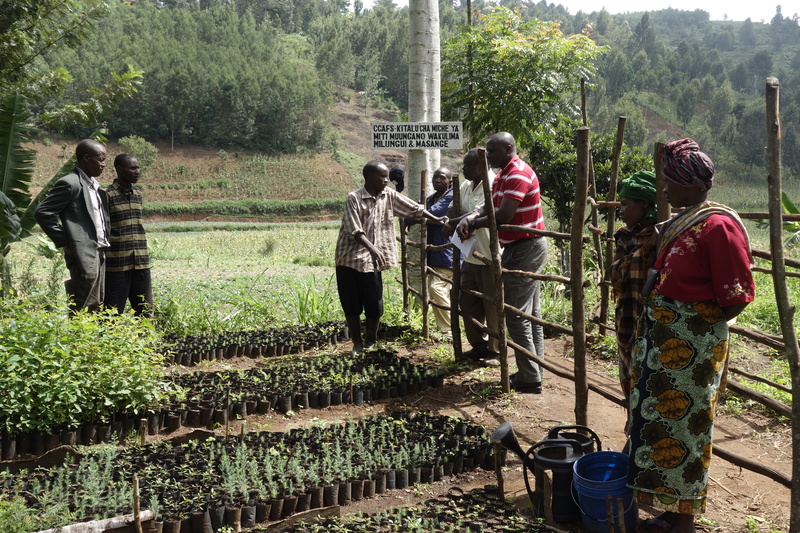 Local farmers already have experience with their land, so building on their knowledge to help tailor interventions that are appropriate to the particular conditions will be invaluable to foster adaptation which can endure, come heat or high water. The R4 Rural Resilience Initiative, is a joint programme led by the World Food Programme and Oxfam which exemplifies a risk management strategy for smallholders. 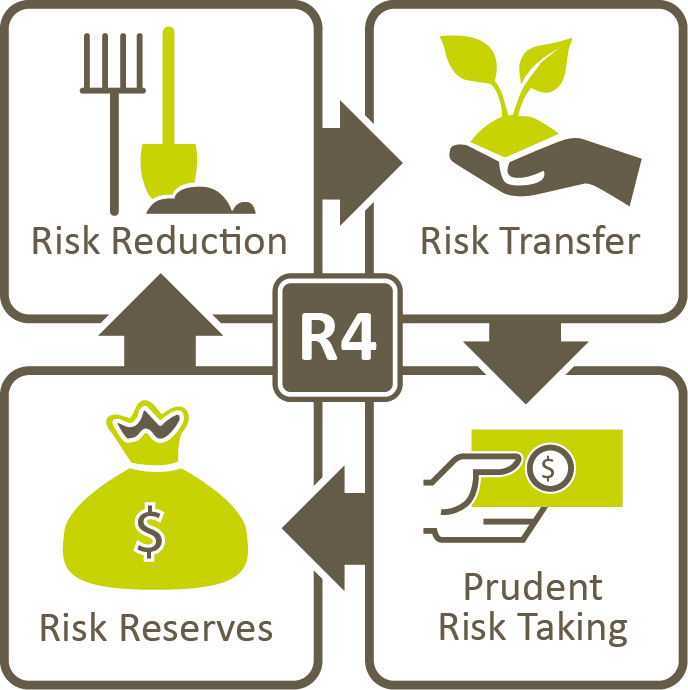 “R4” refers to a four-pronged approach to manage risk: risk reduction, risk reserves, prudent risk taking, and risk transfer. 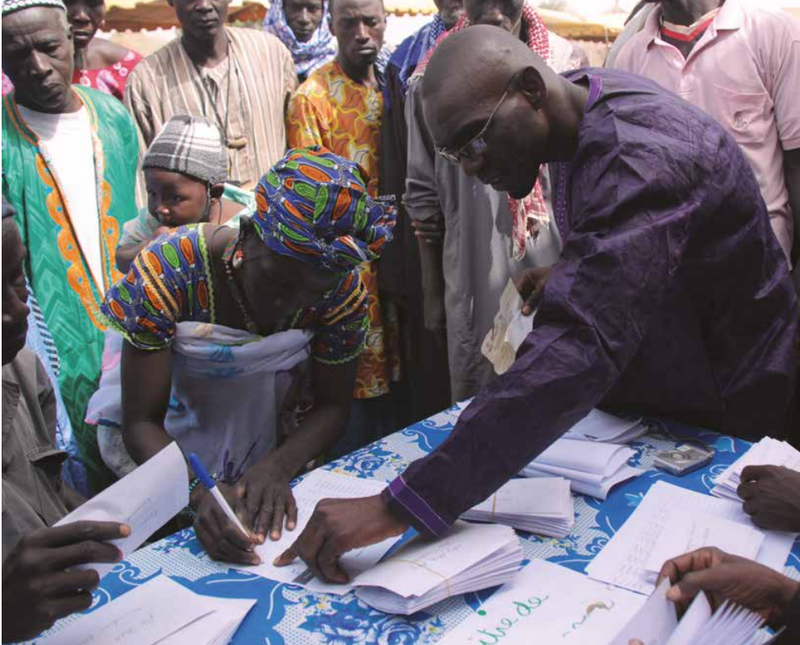 Risk is reduced by farmers engaging in community-led climate adaptation initiatives. Farmers work on projects, which improve the agro-ecosystem and reduce agricultural vulnerability to the changing climate. The projects are designed to be context- and location-specific, for example a reforestation project may be appropriate in one setting, while crop-irrigation may be more prescient elsewhere. Building ‘risk reserves’ means that farmers construct a financial base, either individually or as a group, which provides a monetary buffer to help respond to shocks, aiding a farmer or a community’s ability to cope with risk. Prudent risk taking means that any savings, which farmers are able to accrue can be used as microcredit, allowing farmers to create an asset base. Finally, risk transfer is offered in the form of weather-based index insurance, which farmers pay for with their labour on the risk-reduction strategies. In this way, farmers pay for insurance with labour, while also engaging in strategies which reduce both short- and long-term risk. R4 was piloted in Tigray, Ethiopia between 2009 and 2012, and farmers were able to increase their savings by an average of 123% compared to uninsured counterparts. Different local contexts influenced how farmers spent their savings; in some areas oxen were purchased, while elsewhere grain reserves were increased, or money was invested to diversify their income sources in other ways. Farmers reported that they saw insurance as a way to grow their savings in spite of environmental risk and threats. The changing climate is already apparent, and there is no quick fix. The impacts will be felt all over the world, but most acutely in Africa. Therefore, across the world and across Africa countries must be spurred into action. National and international bodies must invest in renewable energy technologies while working to create new markets for agricultural producers, and building human and institutional capacities to support a knowledge-economy based on innovation, research and development. This will require a policy environment, which is enabling and empowering, providing incentives from the bottom-up for smallholder farmers to invest in agro-ecosystems over which they have genuine ownership and rights. 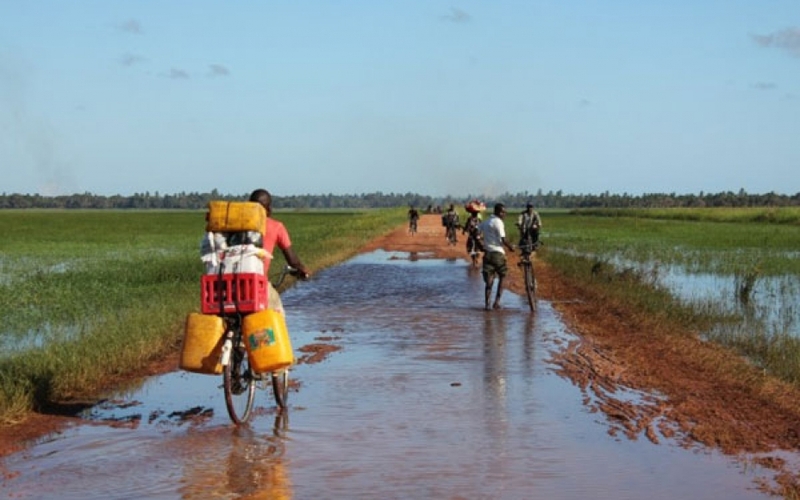 If this happens, the natural capital on which farmers rely may be protected and improved such that it can continue to provide essential services, and smallholder famers across Africa can become agents of change.